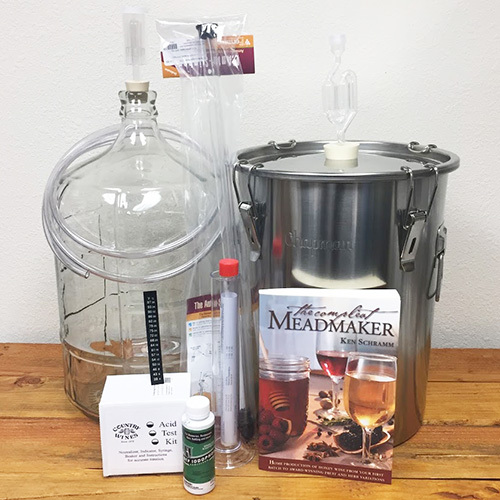 The Complete Home Winery will get you through crushing, pressing, and aging of your wine up to 40 gallons. It includes all the vital pieces of heavy equipment needed in your winery. 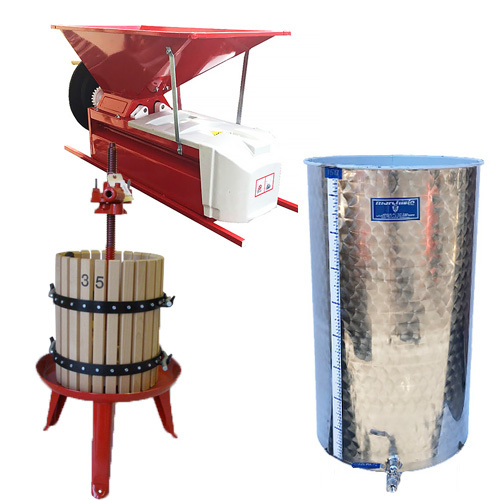 Our excellent economy manual grape crusher destemmer is perfect for small to medium batch winemakers who want to be more hands on with their grapes. The traditional wooden basket ratcheting basket press is built with a pressed steel basin with enamel coating. It has a removable shaft with nut, and 12 gallon capacity basket which will allow pressing approx. 175 lbs. of must before reloading the basket. 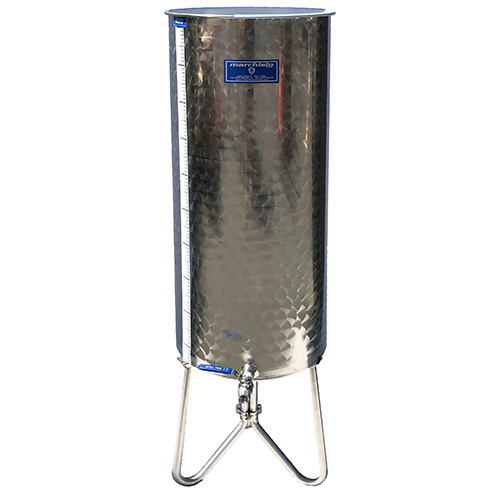 Marchisio's Variable Capacity Wine Storage Tanks are made of 304 Stainless Steel, includes a stainless lid with Elastollan inflatable tube, TankToppr™ airlock riser, and 1/2" NPT port and ball valve.